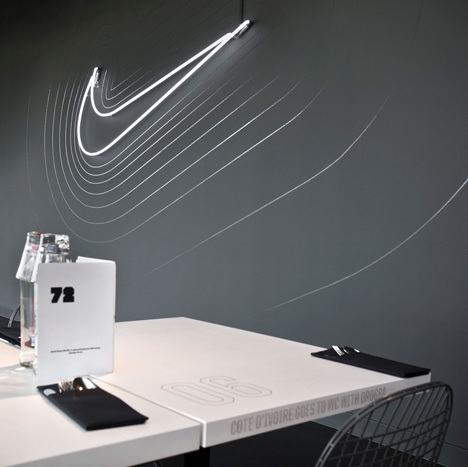 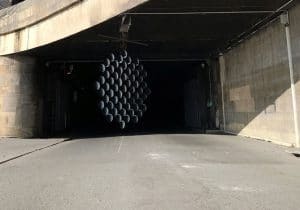 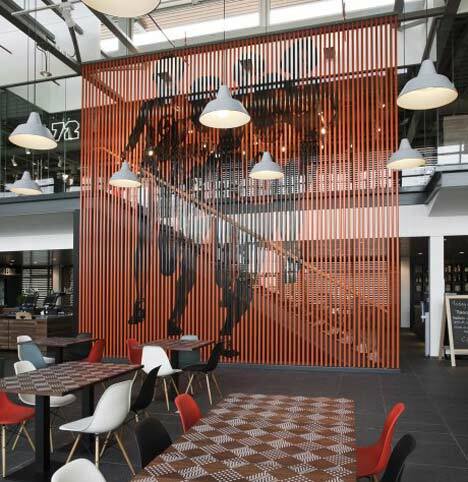 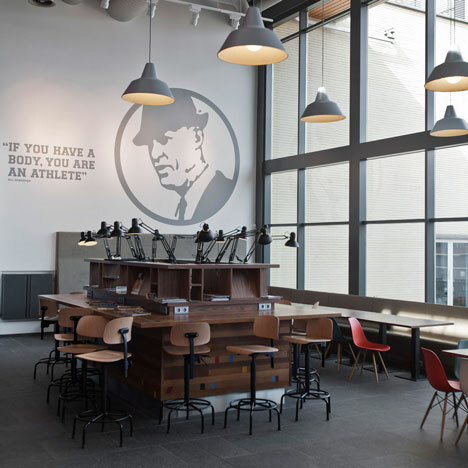 Athletes are illustrated across a wall of orange tubes in this canteen at the headquarters of sports brand Nike in Hilversum, the Netherlands, by Amsterdam studio UXUS Design. 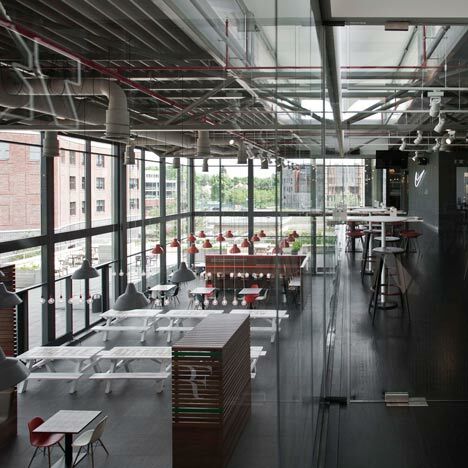 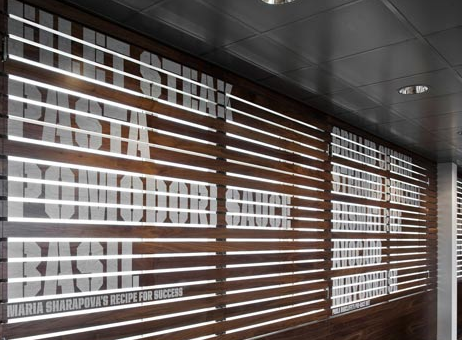 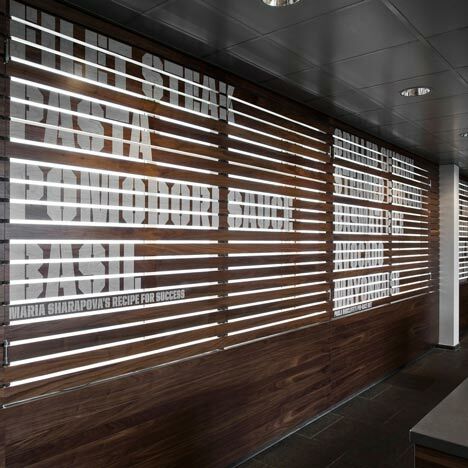 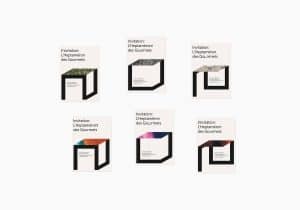 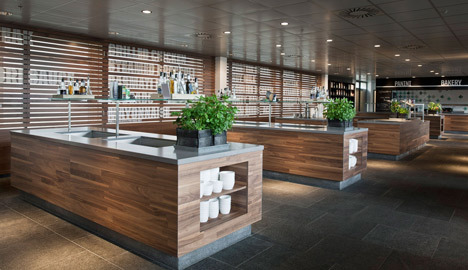 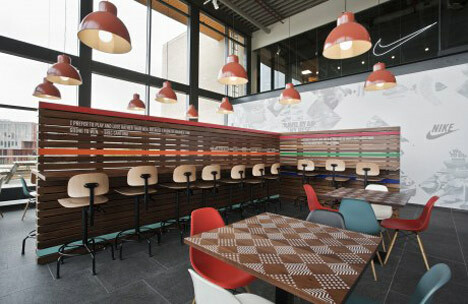 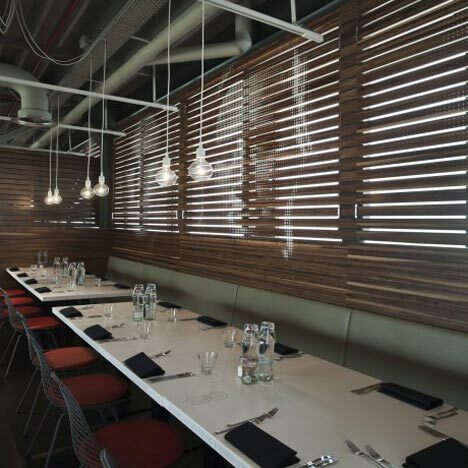 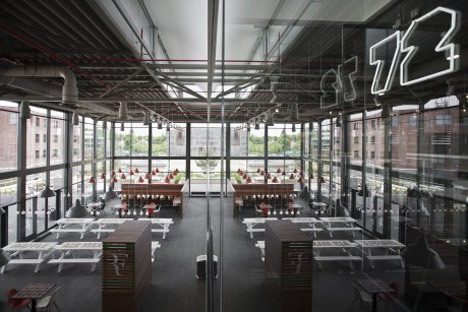 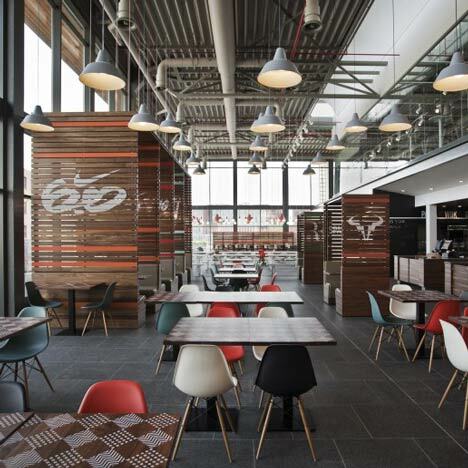 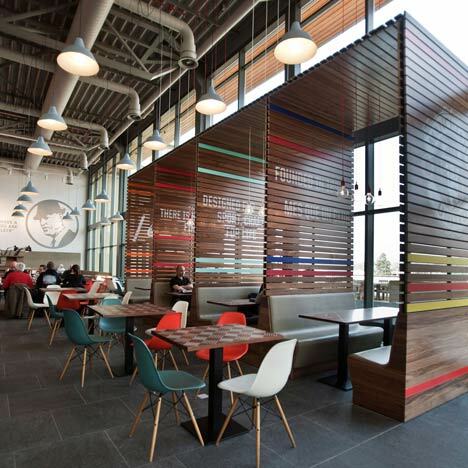 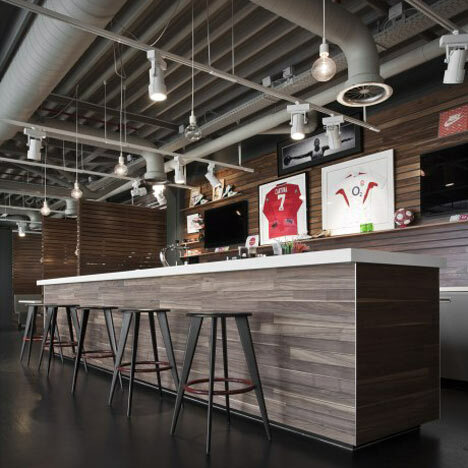 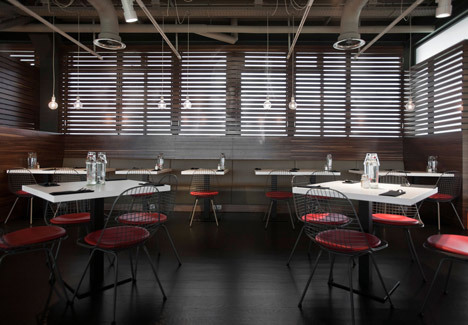 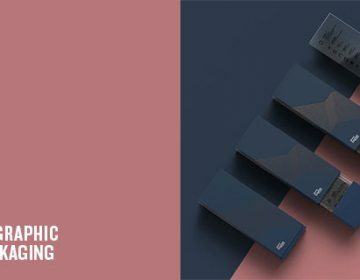 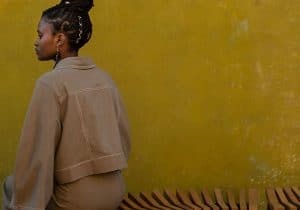 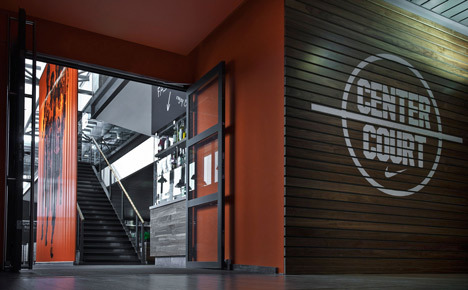 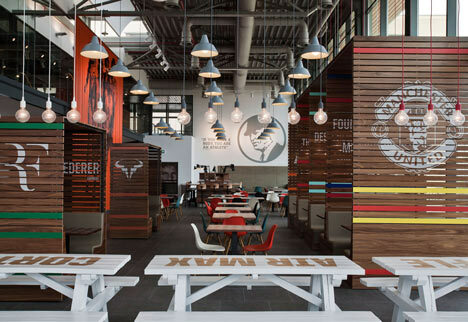 Located at the company’s Europe, Middle East and Africa headquarters, the dining room contains individual tables and timber-slatted booths adorned with logos and statistics. 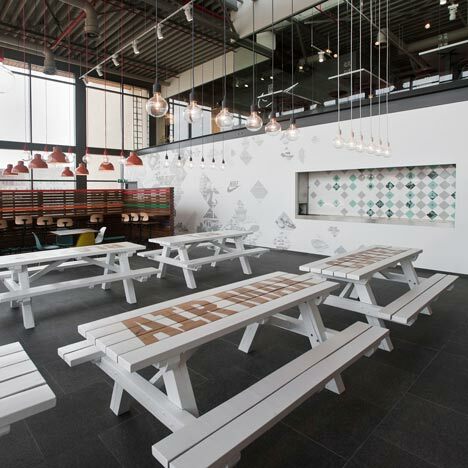 Coloured chairs and picnic benches provide additional seating.